Written and choregraphed by Dirk Opstaele. 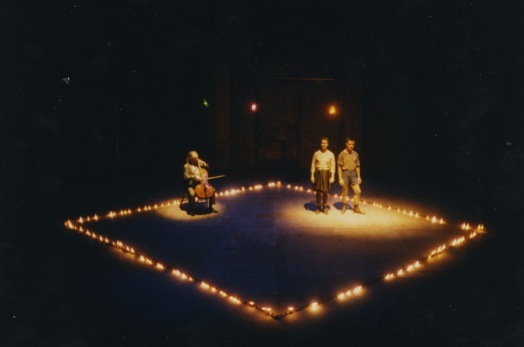 The Ensemble Leporello is a music theatre compagny. It's performances gather actors, dancers, singers and musicians. Leporello is now touring with "Satyrsong Antigone" (a small scale opera for 9 singers and 2 percussionists), "Monstrous" (a short 'speakdance' for four singers/dancers) and "Cadenza" can be considered as a mere confrontation between 3 characters, each of them with his or her own style of movement and expression. Not having any anecdotical plot, the performance develops a series of emotional tensions through music and choreography. Von Suppé, "A morning, afternoon and evening in Vienna"